There are a lot of factors that go into a game genre becoming a success, and the game of the moment is the battle royale. Whether you call it a game mode or its own genre, battle royales are still enjoying a ton of success, and lots of developers want to get in on the action. One of the people behind The Culling, which was the first stand-alone battle royale game, says the big factor that’s gone into the popularity of battle royales is streamers. Like MOBAs several years ago, battle royales began with relatively obscure games and mods and suddenly exploded into mainstream prominence. Josh Van Veld, director of operations at The Culling studio Xaviant, says what connects the two different game types is their popularity with streamers. That’s made it easier for streamers to build audiences based on playing the games. Dota 2 and League of Legends both have spent years at the top of the most-viewed list on Twitch, but battle royales like PlayerUnknown’s Battlegrounds and Fortnite have changed the game. Van Veld says that may be because of the ‘episodic’ nature of your average battle royale match. 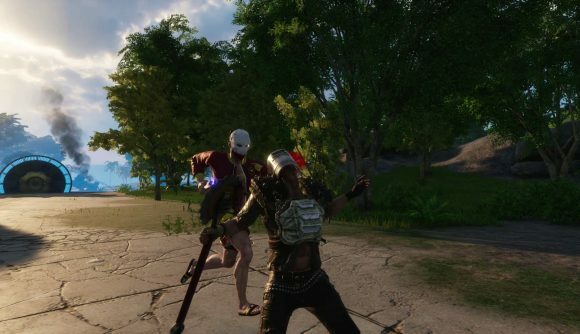 Van Veld spoke with PCGamesN about The Culling – about where they went wrong and where they fit into the current games landscape – in an interview we published earlier this week.